Wedding pictures at Fox Canyon Vineyards are always so gorgeous! 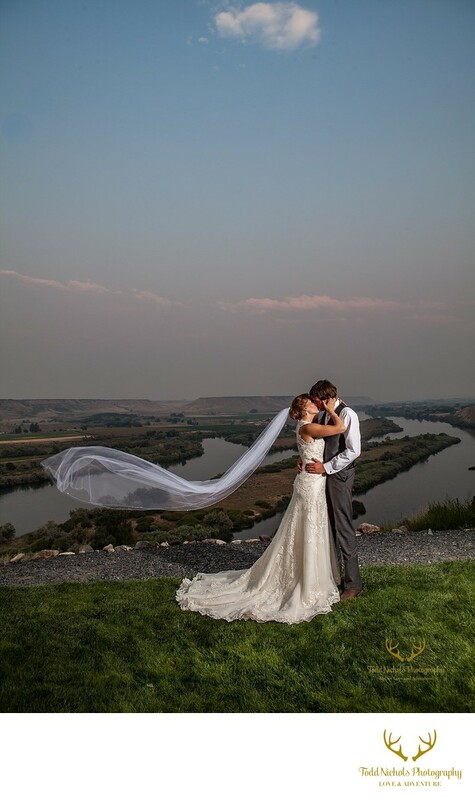 This beautiful wedding venue is located in the heart of the snake river valley wine region. Fox canyon is 250 feet above the Snake river and has a beautiful cliff-side gazebo and wedding bridge. The twilight pictures here are especially gorgeous as you can see. There are many beautiful locations here for pictures including along the vine wall with descending steps to the gazebo, the raised dance floor, tree lined driveway and vineyards to name just a few. Location: Fox Canyon Vineyards, Marsing Idaho. 1/60; f/8.0; ISO 100; 24.0 mm.